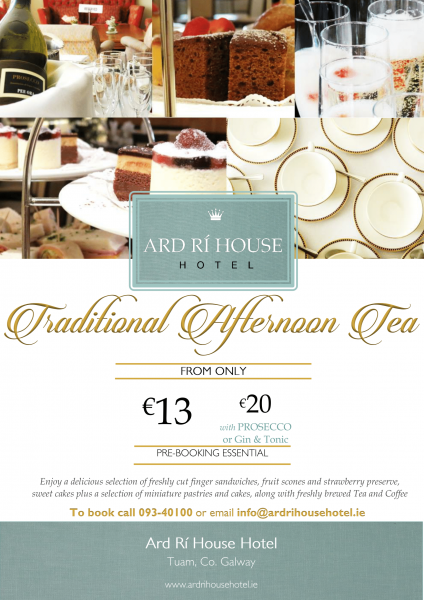 Traditional Afternoon Tea is definitely something to experience here at the Ard Ri House Hotel. Excite your taste buds with some scrumptious sweet treats, delicious homemade scones and savoury bites. All this complimented with tea & coffee and a glass of prosecco. Please call our team to reserve your table.